Been wanting to buy another sunglasses that I can use alternately with my Marc Jacobs sunglasses but I really have a hard time picking the right sunglass shape for my small face. Actually, I have been fitting this aviator style by Ray-ban when I always go to the mall but I end up not buying it because it doesn't suit my face well. Anyway, early this year, my girlfriends and I went to Robinson's Galleria and an optical shop is having a display of their Ray-bans. As usual, I tried some styles hoping to buy already. I was kinda hesitant but they said that it looks good on my face (that is what I want to hear) so I bought it immediately because it was also on sale : 20% off from the original price. The sales rep did a minor adjustment in it to perfectly fit my face. 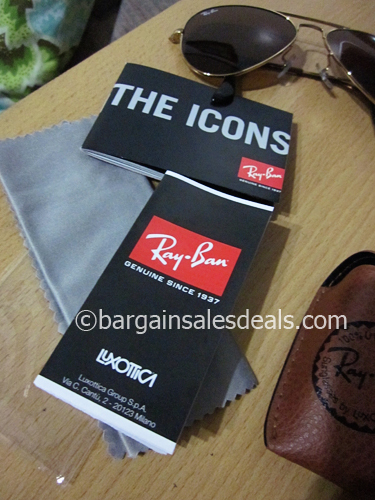 Been using my Ray-Ban small aviator sunglasses all the time. It not only protects my eyes from the harmful rays of the sun but it can make me look fashionable as well. What I got was a Ray-Ban Small Aviator that has the teardrop lens shape with a gold trim on the lens and is perfect for women with smaller and narrower faces just like me. one of my wishlist to buy is a Ray-ban eye wear, but i cannot afford one yet so it would just be a wish for now,, an eye wear is a must need for me though. I use it every time i go outdoor. Ray ban is good quality sunglasses that provides large selections of different design. I have few of their glass and Im still using it. I want to buy one for myself but I don't think I'll look good in it because of the shape of my face. 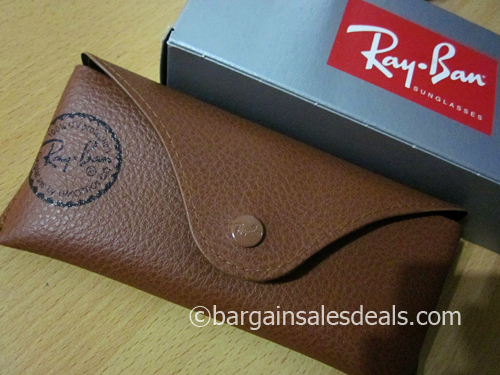 Rayban reminds me of my early 20's, I owned a Rayban and loved it until it got lost in the ocean, sigh. That's one classy sunglasses! AWW sayang naman Rose nawala.. I like Ray-Ban brand of sunglasses. I am hoping to get one for myself before the year ends. Classic brand.. durable product. RAYBAN will never goes out of style. It's here to stay. Nice pair you have here. I'll be waiting for an auction to get one for my hubby. Got the same Aviator piece from Ray-Ban, just different shade. Good that that you had it adjusted for more comfortable experience. Cute sunglasses, rayban is a good brand and many people wear this kind of sunglasses. I would love to see this on your face! I have been wanting to buy an aviator myself but I cannot decide yet if it goes well with me. 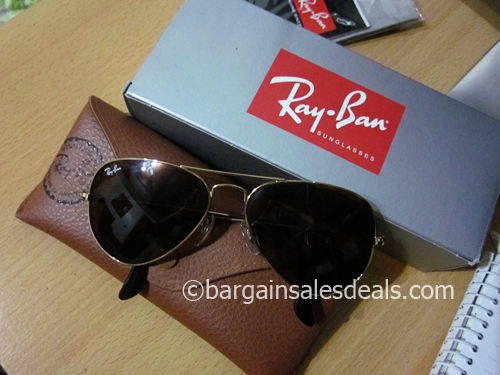 ray ban is aviators is classic and will never go out of style. awww, I've been wanting a pair of aviators myself kaya lang I don't thnk bagay sa akin..
Been eyeing on that one for a while now!!! Yay!